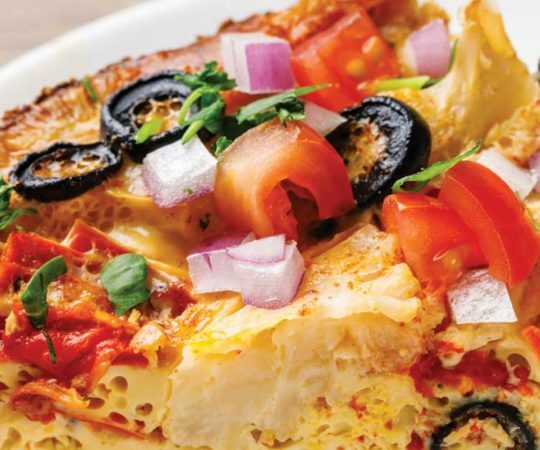 Who says that you need eggs to make a good casserole dish? 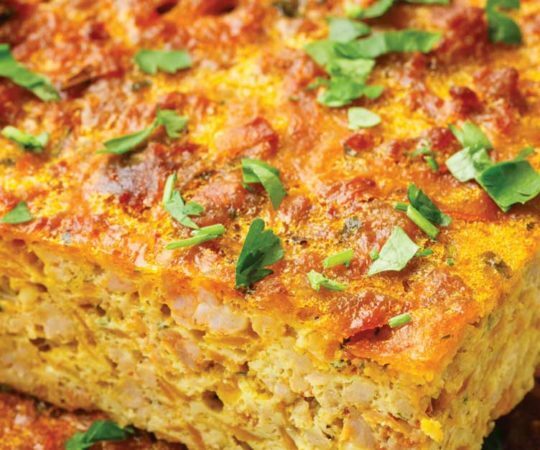 I must have missed the memo because this paleo eggless bacon casserole recipe is absolutely to die for. The words “bacon” and “casserole” together should already be enough to give you an idea of just how incredibly delicious this recipe is -- but there’s definitely much, much more that goes into this casserole. In fact, some of the ingredients used might even surprise you! And best of all with this recipe? It’s super easy to prepare and can be ready to go, start to finish, in only 45 minutes. Meat, Veggies, and Spices…Oh My! I like to think that the most important part of any good breakfast is that it has to have plenty of protein to help fill you up, get your metabolism going, and provide you with a steady stream of energy for the day ahead. 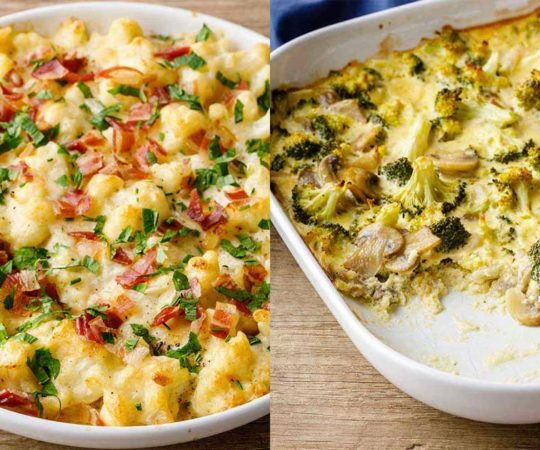 So with that in mind, not only does this casserole recipe include bacon, but you’ll also be adding in one pound of boneless, skinless chicken breasts that have been cut into half-inch cubes. This one-two punch of meat adds a ton of protein and fat into the dish, which will both help to keep you feeling full for longer. 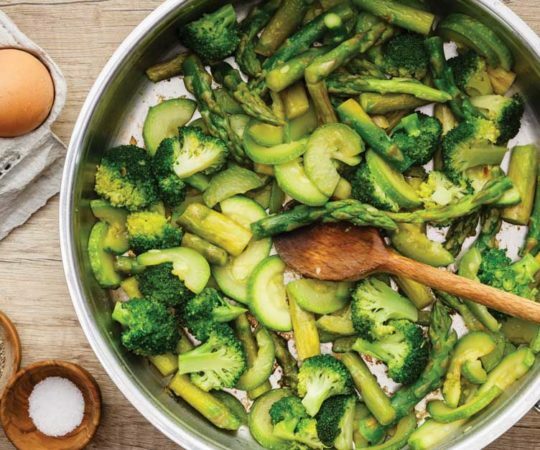 Just because there’s plenty of protein doesn’t mean that we will be skipping over the veggies with this recipe however. Quite the opposite, in fact. 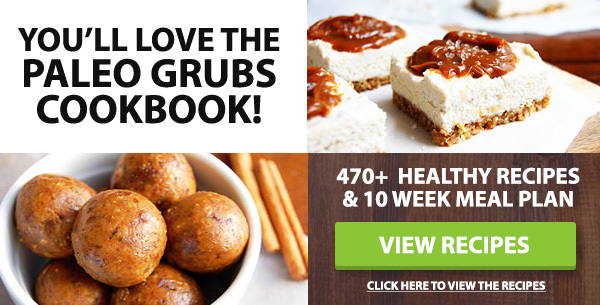 This recipe includes sweet potato, also cut into half-inch cubes. On top of that, you’ll be adding in broccoli florets and a single small onion. 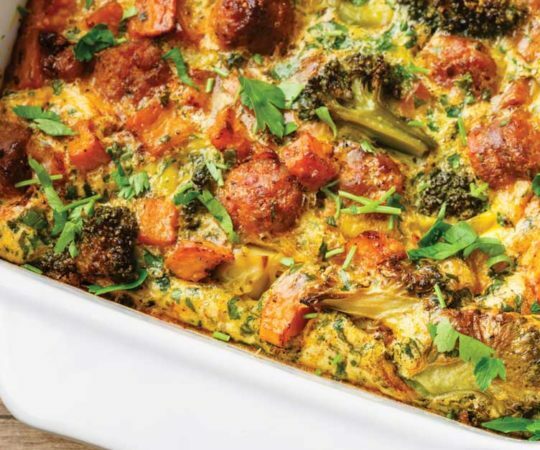 Every good casserole dish should make use of fresh, healthy veggies in order to add an abundance of vitamins, minerals, phytonutrients, and antioxidants, and this recipe is no exception. 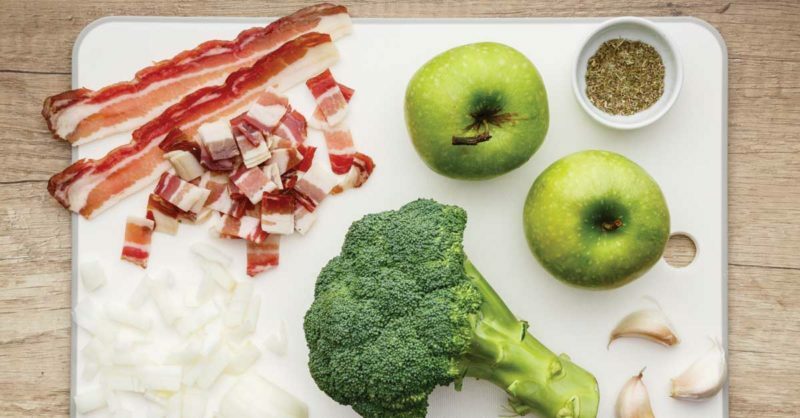 You’re not just going to be adding vegetables into this dish though — this recipe also calls for two Granny Smith apples, also cut into cubes. Apples are one of the most popular fruits worldwide and there’s a good reason for that — they’re excellent sources of antioxidants, flavonoids, dietary fiber, vitamin C, B-complex vitamins, and minerals like calcium and potassium. 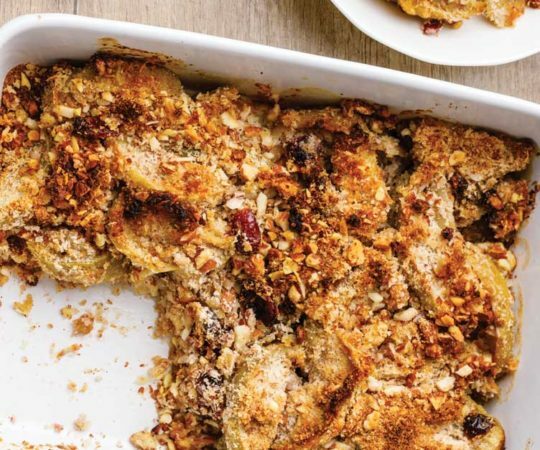 (1) They’re just a great way to easily add even more nutritional value into this casserole. As you can see, there’s a lot of great tasting ingredients that go into this recipe, and they all combine to produce an incredibly delicious casserole. My favorite part about this recipe is also how easy it is to make — there’s no need to worry about layering anything in or adding certain things at the right time. Simply add all of the ingredients into a bowl, toss them to combine, and then bake them for about 35 minutes, and you’re all set to enjoy a tasty casserole. #3 – Sweet Potato Paleo Casserole – My kids love this one! In a bowl place all the ingredients and toss to combine. 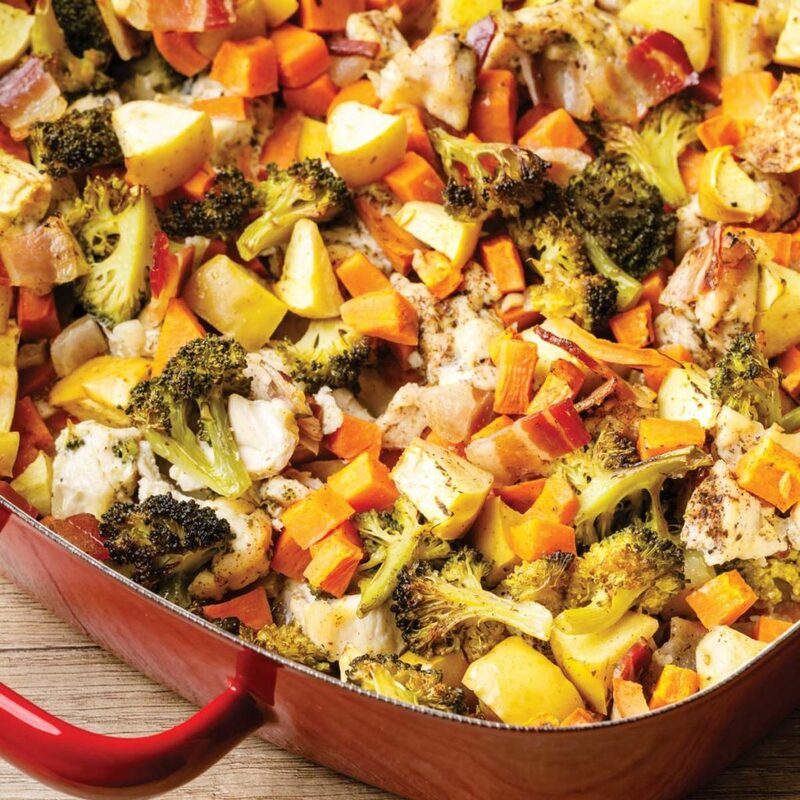 Bake for 35-45 minutes or until chicken and sweet potatoes are cooked.